Sims 4 is a welcome game - a life simulator that will allow you to play with a virtual life like never before. Now you can create new Sims with the mind and emotions, where each action has its own emotional consequences. 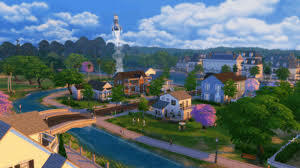 Create new Sims and build unique houses. *** We do not provide secret question and data from the mail.